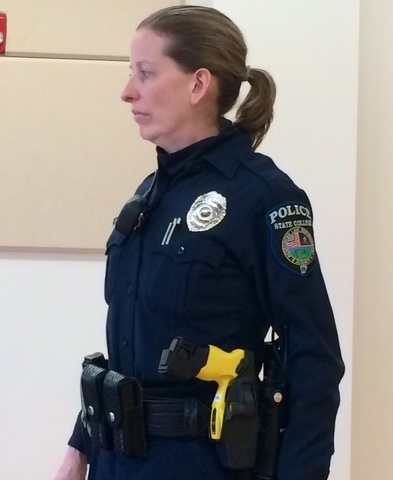 State College police officer Heather Royer shows off her new taser at a press conference last February. Photo by Michael Martin Garrett // StateCollege.com. It's been nearly a year since both State College and University Park police decided to add tasers to their arsenals. And now, 70 local officers can be seen with the yellow guns full of electric charge in holsters at their sides. After the first year of taser use on campus and in the borough, the State College Taser Advisory Committee is holding a town hall meeting to discuss the policies in place and the future of tasers in town. The meeting will act as an informational session to bring community members up to speed on the program, also providing an opportunity for residents to offer comments, questions, and opinions. The Taser Advisory Committee was first formed by the borough last May to provide an external review on the use of tasers by State College and University Park police officers. The tasers have been deployed six times and drawn 14 times in their first year of use. According a press release from the borough, the committee is primarily concerned with the level of confidence the community has in the taser programs. The comments from the public and the committee's recommendations will be provided to borough manager Tom Fountaine and Penn State senior vice president for business and finance David Gray following the meeting. The town hall meeting is scheduled for Feb. 10 at 7 p.m. in the council chambers of the State College Municipal Building. The public can also anonymously provide comments online at this website or via e-mail. 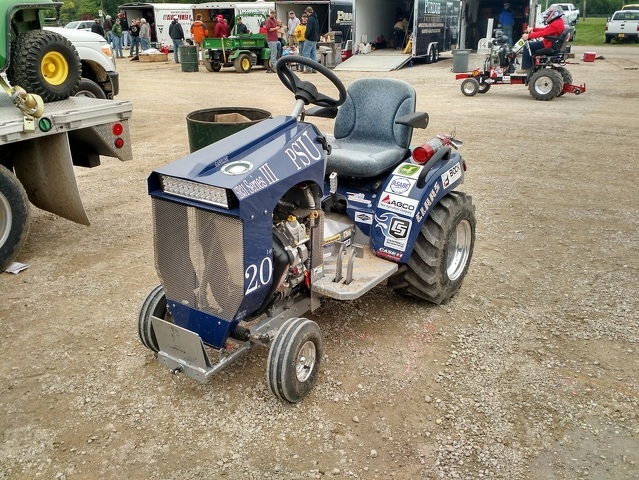 The Penn State students know and love today has roots extending deep into the history of agriculture in Pennsylvania. Originally founded as the Farmers’ High School in 1855, Penn State has always prided itself on its agricultural sciences.